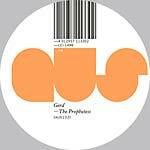 Gerd returns to AUS with The Prophetess, a four-tracker that showcases a producer capable of soundtracking peak-time moments anywhere and everywhere. The A-side leans towards breaky drums and punchy melodies whilst the flip includes two acid bombs. If you're a fan of Gerd's much-loved NY Stomp and Geeeman monikers then this release should be no different. 2014 black vinyl repress forthcoming... Gert-Jan Bijl from Rotterdam, better known as Gerd, is a true constant in the electronic scene. The head of a whole bunch of labels like 4 Lux, Fortek and Amplified as well as different monikers like Delgui and Amplified Orchestra, he delivers a timeless blueprint of funked-up house music. On the flip, DJ Koze gives this track a fantastic remix treatment and twists it another notch into the obscure. Originally released in 1999 on Music Man. This is Arkest's Blaze from Gerd. The title track starts with minimal shuffle and swoosh, building slowly with pulse agitations into throbbing tech-house. Also including a mono mix.